Accumulators are devices that store energy received from the fluid power circuit and release this on demand. Their main function is to dampen the pressure peaks and water hammer that occur when the flow of liquid is interrupted or re-activated brusquely due to sudden closing or opening of a valve. 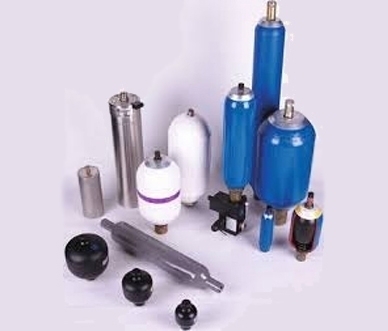 RVS stocks a broad range of fluid power accumulators available in various versions and all equipped with the related accessories. At the customer’s request, RVS also furnishes a carry case for nitrogen pressure control and recharge operations. According to customers requests, RVS can also provide a carry case for nitrogen pressure control and recharge operations. The company maintains a full stock of accumulators and many other fluid power components ready for shipment. The company is located in Turin but operates all over Italy. Don’t hesitate to contact us for more information or for the possibility of personalising your vehicles.